Titan’s VIP door-to-door travel service collects you from home, for your flight to Dubrovnik. On arrival, we make the short transfer to embark the MV Adriatic Queen (3T) (locally known as Jadranska Kraljica) and enjoy an included dinner on board. An early morning departure as we sail towards the island and national park of Mljet. Here, we see the salt lakes and enjoy the serenity of this peaceful island on a panoramic small boat excursion. This afternoon, we depart for the island of Korcula, believed to have been the birthplace of Marco Polo, and enjoy a guided tour of this old town and learn about its fascinating legends, tales and monuments. This evening, we enjoy some traditional music and entertainment on board. Our cruise continues along the Pelješac Channel and past the tip of the Pelješac peninsula, skimming hidden bays and inlets to the lush island of Hvar which is cloaked in lavender, rosemary, heather and fig groves. A guided tour of the town of Hvar will show you the wealth of historic buildings here, many of which surround one of the largest squares in the ancient region of Dalmatia, Trg Sveti Stjepana. Today, Adriatic Queen continues her voyage north, crossing the Hvar Channel and through the narrow passage that separates the islands of Brac and Solta, offering spectacular views. 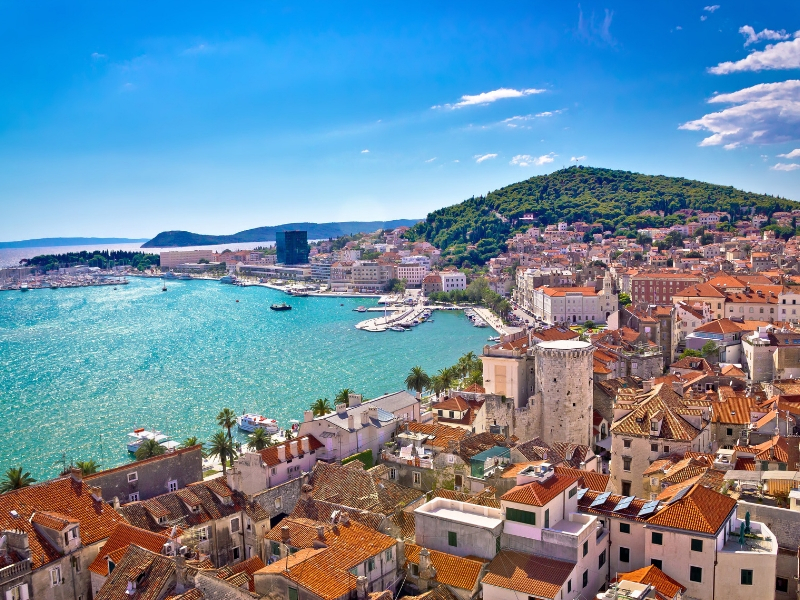 Split has a charming old town that contains the majestic Diocletian’s Palace, a UNESCO World Heritage Site and one of the most impressive Roman ruins in existence. We enjoy a guided tour of the old town, followed by free time for your own explorations. After breakfast, we sail along the coast towards the Makarska Riviera, stopping at the town of Omis, where we spend the morning on a small boat excursion on the Cetina River to Radman mills, surrounded by wildlife and beautiful nature. This afternoon, Adriatic Queen continues sailing south, and we enjoy beautiful views of the Riviera en route to the small town of Makarska, one of the most attractive resorts on the Croatian coast. This morning we cruise from Makarska towards the little village of Trstenik on the Pelješac peninsula. This small village is home to the famous Grgic winery where we have a wine tasting, followed by plenty of free time for you to enjoy at leisure. An early departure this morning as we sail towards the UNESCO-listed city of Dubrovnik. Upon arrival, we enjoy guided sightseeing, including a cable car ride up Mount Srd to enjoy a spectacular birds-eye view of Dubrovnik. There will be some free time for lunch on your own before we return to the ship. Captain’s farewell dinner tonight, with local wine and entertainment included, plus an evening cruise around the old city walls of Dubrovnik.